Interstate 40 is the third longest interstate highway in the US. Take this amazing route all the way from California to North Carolina. Interstate 40 spans about 2,555 miles from Barstow, California to Wilmington, North Carolina. It’s the third longest interstate in the US behind I-80 and I-90 and largely parallels the southernmost cross-country highway, Interstate 10. The highway passes through eight states and several major cities like Albuquerque, Memphis, and Nashville. The western stretch of I-40 from Barstow to Oklahoma City also follows a segment of the old Route 66. These are fifteen of our favorite places to visit along Interstate 40. 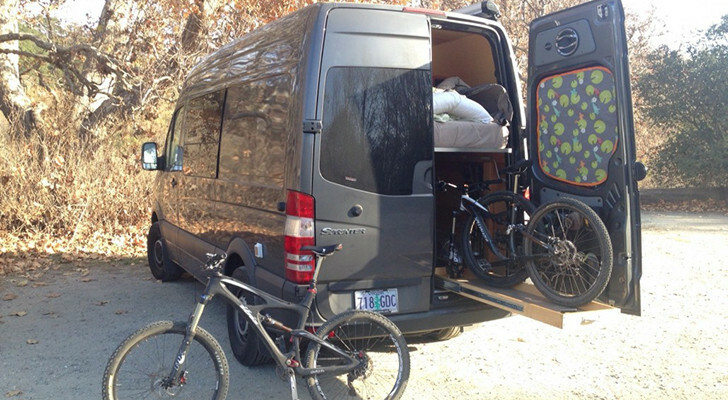 Plan your trip and find more campgrounds and attractions on RV Trip Wizard! You could drive the route in a week or two, but I suggest planning at least a month or more to allow plenty of time to see everything along the way. 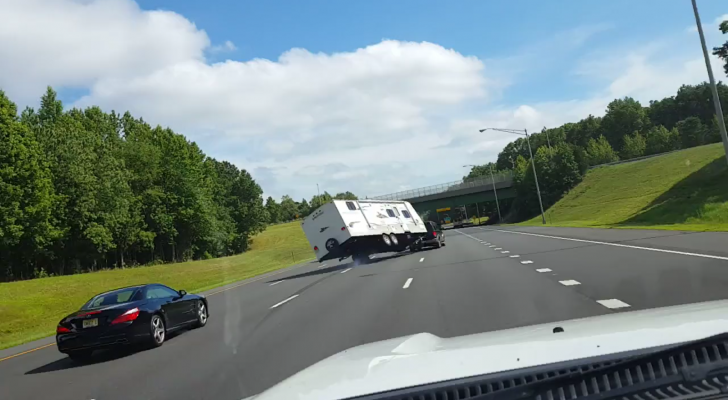 Before you go, you’ll also want to plan your travels on RV Trip Wizard as there are countless more amazing campgrounds and attractions off the highway. If you kick off the trip heading eastbound from Barstow, you’ll pass about 81 miles of wide open desert before reaching your first stop, Mojave National Preserve. 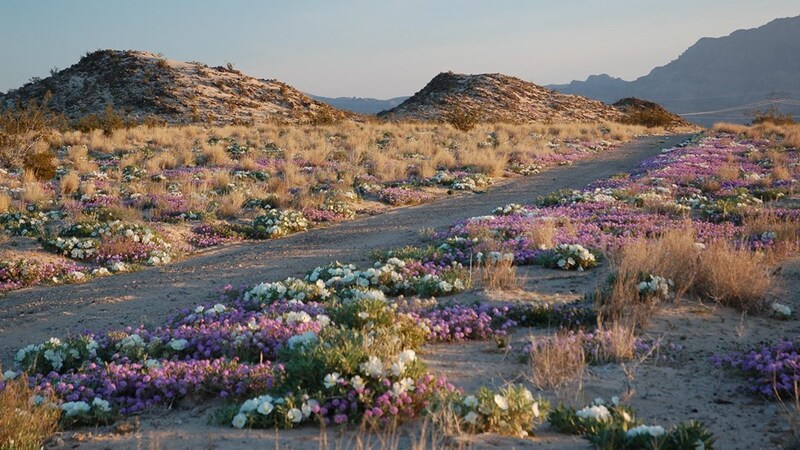 This park spans over a million acres and protects amazing landscapes in the Mojave Desert. You can take I-15 to the north entrance or follow I-40 to the south entrance of the preserve. There is currently no entrance fee and campsite fees are very cheap at $12/night. The preserve has two campgrounds, one of which has an unpaved access road not recommended for RVs. However, the Hole-In-The-Wall Campground has 35 campsites for tents/RVs available on a first-come, first-served basis. Take a day or two to explore, this park is huge and has lots to see and do. I recommend climbing to the top of the steep Kelso Sand Dunes as you’ll be rewarded with a unique sound you won’t hear back at the campground. The dunes are made of rare singing sand that you can hear and feel under your feet! You’ll also get some pretty mesmerizing views of the mountains, Joshua trees, and blooming desert wildflowers in the spring. Continue eastbound into Arizona and make a detour to Lake Havasu City if you have extra time. The next stop I recommend visiting lies just southeast of Flagstaff; a national monument that rivals the Grand Canyon in views but has a fraction of the crowds. 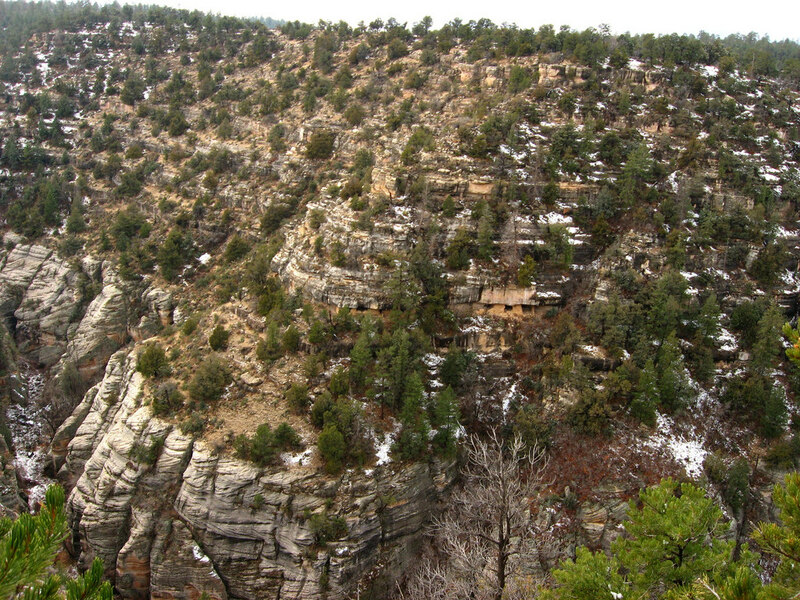 Walnut Canyon Monument preserves old cliff dwellings where 12th century Sinagua Indians once lived. Hike the Island Trail to see the ancient ruins up-close; it’s only about a mile round-trip and passes 25 old cliff dwelling rooms. The monument is not open for camping, but there are dry campsites in the woods nearby at Bonito Campground. You can also find a few RV parks, a KOA, and a 55+ older park in the Flagstaff area. 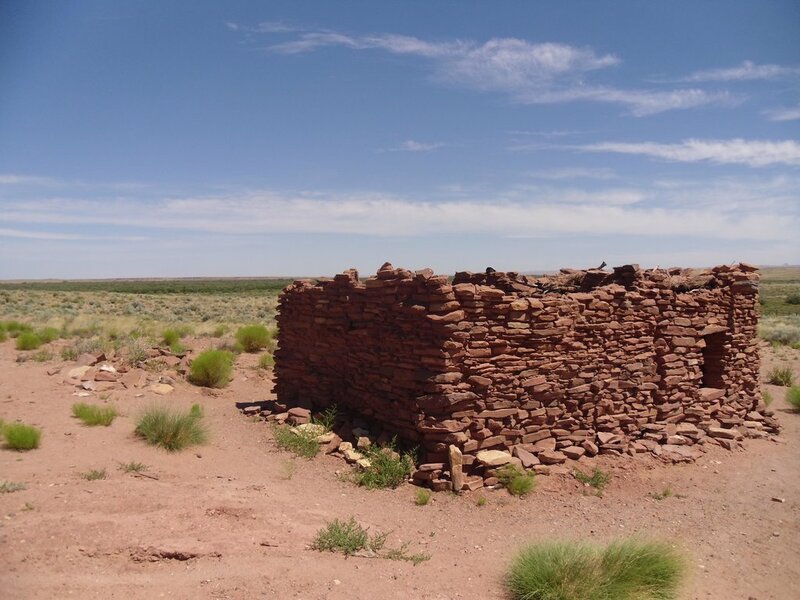 About an hour east via Interstate 40, Homolovi Ruins State Park is an easy pull-off near Winslow. Much like Walnut Canyon, this park protects ancient ruins that you can still see today. The park has two main sites, both of which are worth visiting and have tons of old, scattered pottery chards. They also have a visitor center and museum, and an RV-friendly campground with pull-thru sites, power hookups, and a dump station. 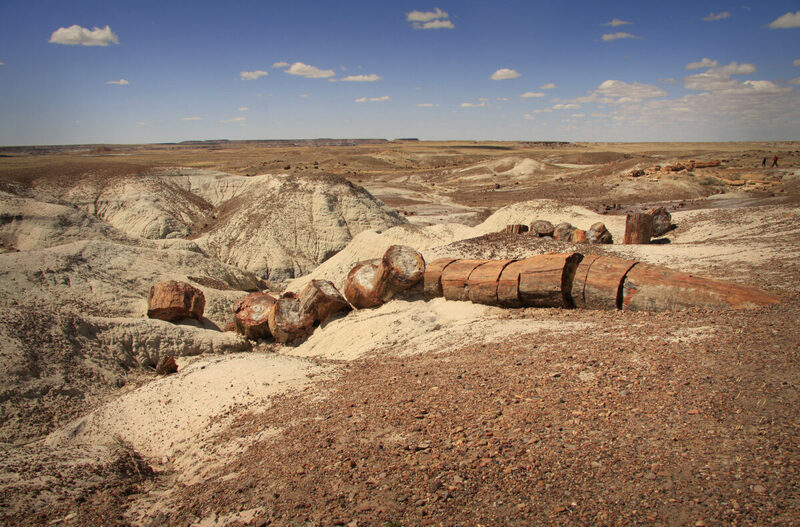 In Eastern Arizona, Interstate 40 passes through the vastly underrated Petrified Forest National Park. You won’t find many other places with such a large and impressive collection of petrified tree trunks and old fossils. Check out the informative exhibits on display at the Rainbow Museum or tag along one of their ranger-led tours. If you’re not in a camper, the Painted Desert Inn offers lodging within the park; if you are taking the RV, there are no campgrounds within the park, but you can find a few options in Holbrook including a great KOA. Albuquerque is the biggest city in New Mexico and happens to be conveniently located right along I-40. I recommend branching off shortly north to see Petroglyph National Monument before exploring the many other city attractions. 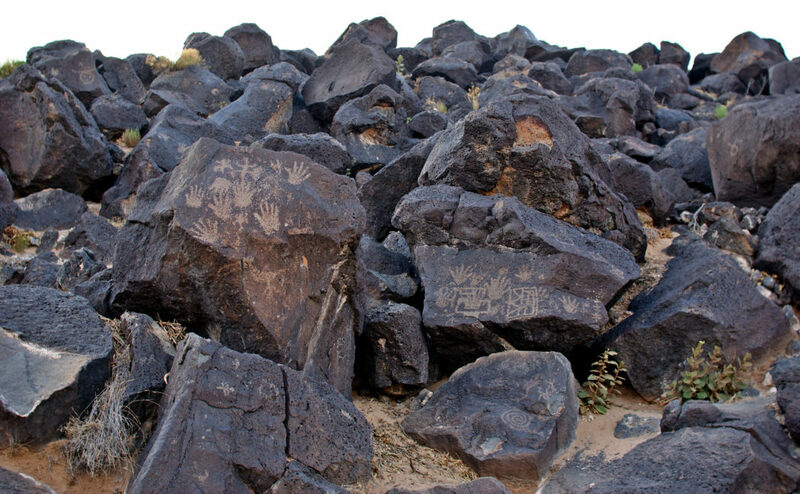 Of all the places to see historic petroglyphs, this national monument is among one of the best. The drawings are clearly visible and some can be seen along easily accessible trails. It’s believed that the drawings were carved into the rocks by Native American and Spanish settlers anywhere from 400 to 700 years ago. The monument does not have campgrounds, but there are several campgrounds located along I-40 and around Albuquerque. Some of the best options include the KOA, Route 66 Resort, and High Desert RV Park. By the time you reach the Texas Panhandle, start planning your next adventures around the city of Amarillo. Most notably, check out the Cadillac Ranch, Jack Sisemore Museum, Wonderland Amusement Park, and Amarillo Botanical Gardens. Cadillac Ranch is one of the most iconic roadside attractions on Interstate 40. The ten graffitied Cadillacs are lined up and half-buried nose down. The art piece was first installed in 1974 to represent all of the generations of the Cadillac line and how their tailfins have evolved over the years. Jack Sisemore Traveland RV Museum is about fifteen minutes east of the art installation. 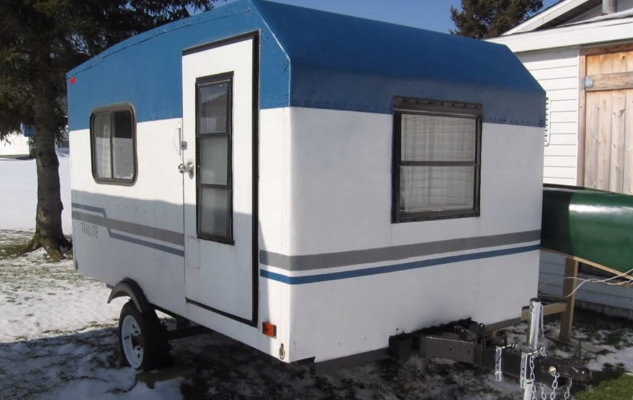 This museum is free to visit and houses all kinds of vintage RVs and memorabilia from the 1930s through the 1970s. 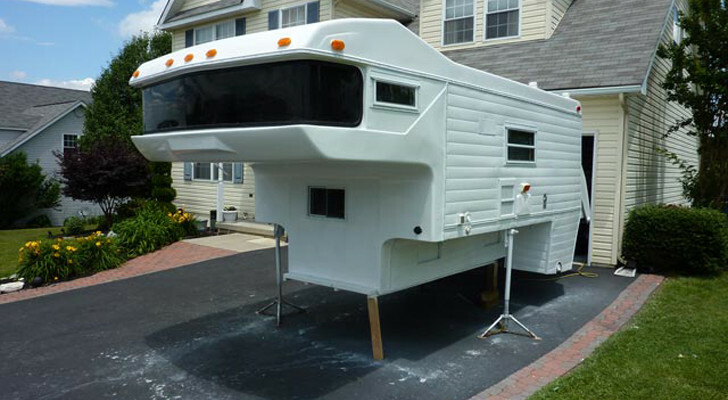 You can learn more about what’s on display in this Do It Yourself RV article. 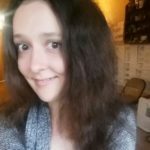 If you have extra time to spare, take the kids to the Wonderland Amusement Park and view the gorgeous flowers at the Amarillo Botanical Gardens. You can find plenty of places around Amarillo to park your RV for the night, including many just off the highway. 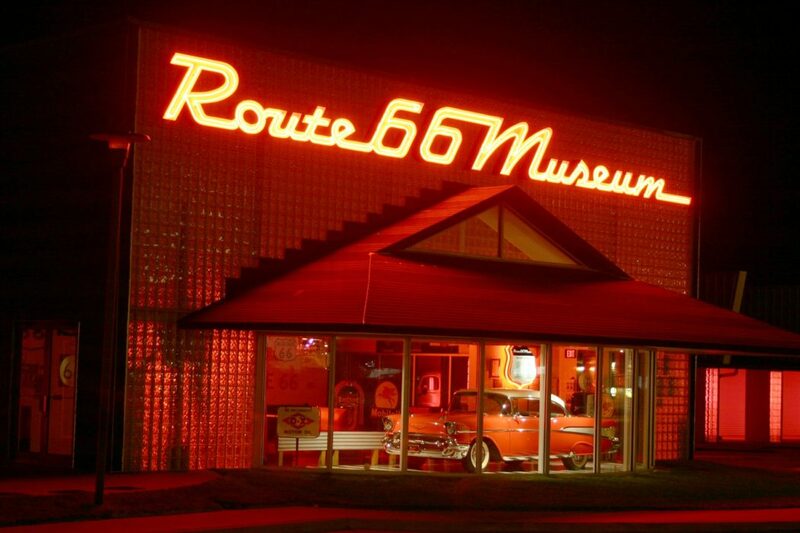 Get your kicks while you’re traveling the old Route 66. This museum just off the highway is a fun step back in time with old cars, gas pumps, and displays on old diners, drive-ins, and motels. Admission is $7 for adults, $5 for seniors, $4 for students (6-18), free for kids 5 & under, free for veterans and military with ID, and $18 for families. The museum also has a gift shop where you can pick up souvenirs for the trip. About ten minutes away, Foss State Park has tent and RV campsites, furnished cabins, and lots of recreational activities. There are hiking and biking trails, as well as a lake for boating, swimming, and kayaking. The capital of Oklahoma is another major city along Interstate 40. Oklahoma City should be on your itinerary alone for its outstanding restaurants, namely their burgers and BBQ. But while you’re here, go ahead and spend a day or two browsing the city’s museums and art galleries. 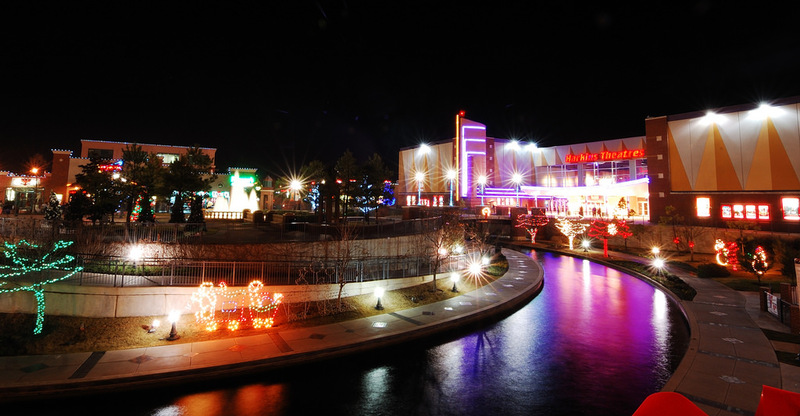 Bricktown is a unique entertainment district and has some fabulous restaurants, wine bars, and local shops. Not to mention there is also a mile-long canal that links Bricktown, downtown, and the Oklahoma River. You can take the Water Taxi for a narrated ride along the canal; tickets are good all day, so you can hop on and off as much as you’d like. You can pull up to several RV parks around the city, including a conveniently located KOA. Read more about the reasons why you’ll love Oklahoma City in this article. Once you reach Arkansas, it’s worth branching off Interstate 40 to loop around the Ozark National Forest. Long Pool Recreation Area is open year-round with tent and RV sites close to great hiking trails, picnic areas, fishing, and canoeing. 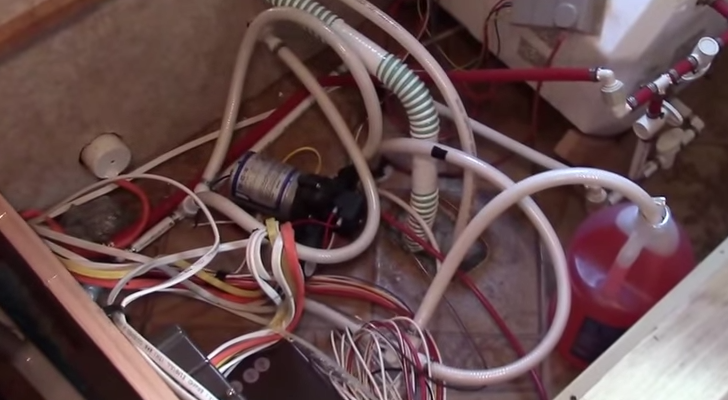 The sites have electric hookups and access to a dump station and restrooms/showers. Fees are very cheap at $13/day or a double hookup campsite for $20/day. Tent sites are $7/day and day use is $3/per vehicle. 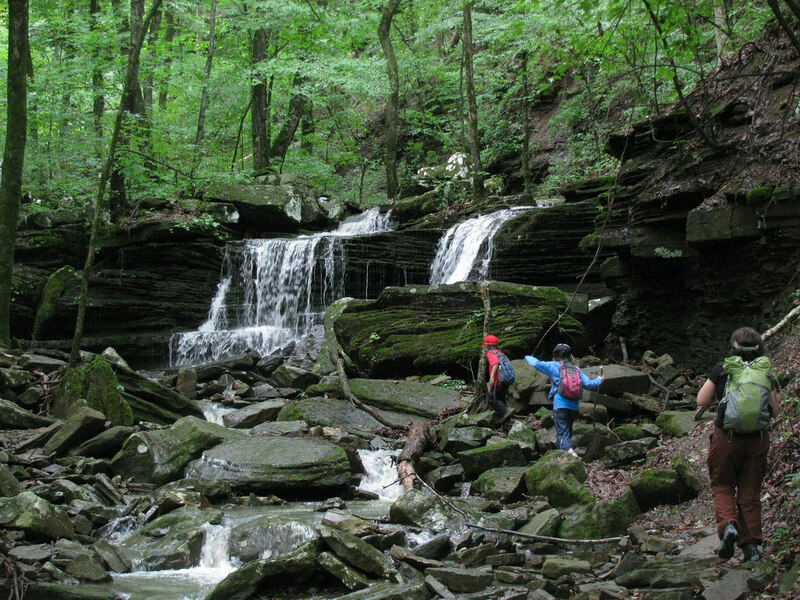 Hike the Pedestal Rocks Loop Trail or King’s Bluff Loop Trail nearby in Sand Gap, or venture out to hike the Glory Hole Waterfall Trail or Whitaker Point View Trail. 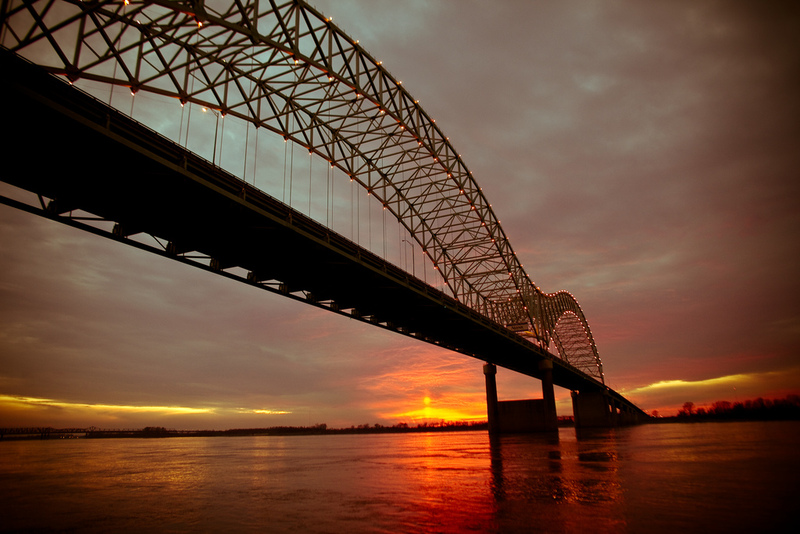 As soon as you cross over the Mississippi River via the Hernando De Soto bridge, Interstate 40 will lead you into Memphis. 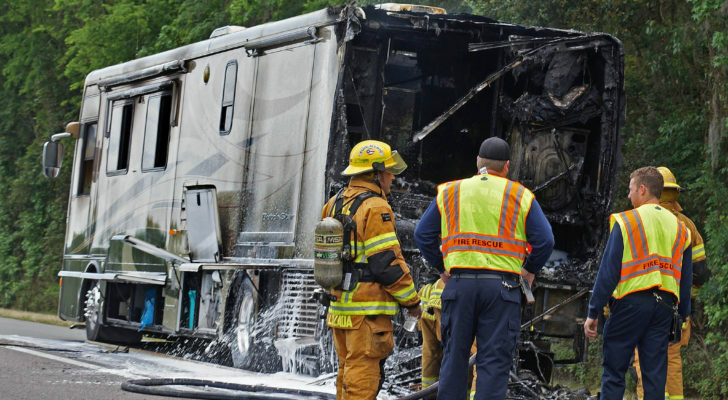 Stay at one of the local RV parks or T.O. Fuller State Park while you explore everything this southern city has to offer. Music and BBQ are what Memphis is all about. Visit a local barbecue joint like Rendezvous for a massive slab of their famous ribs. If you like rock ‘n roll, tour the legendary Sun Studio where Elvis Presley, B.B. King, and Johnny Cash recorded albums. From Memphis, it takes about three hours via Interstate 40 to reach Nashville. 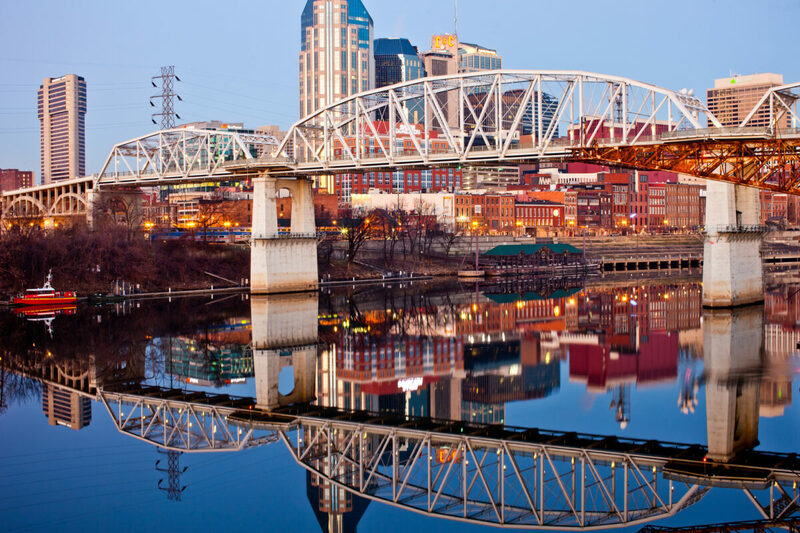 Tennessee’s vibrant capital likewise has a huge food, music, and art scene. The city is home to the Country Music Hall Of Fame And Museum, Johnny Cash Museum, and famous venues like the Grand Ole Opry House. You won’t find many RV parks downtown but rather on the outskirts of the city. 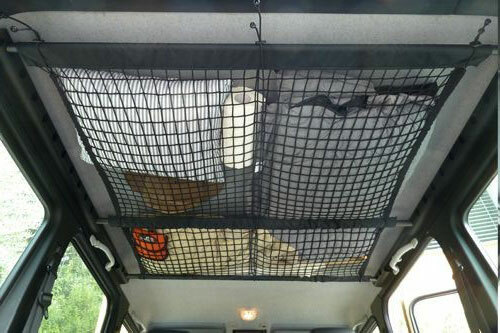 Some of the highest rated places close to the highway include Anderson Road Campground and Seven Points COE campground. 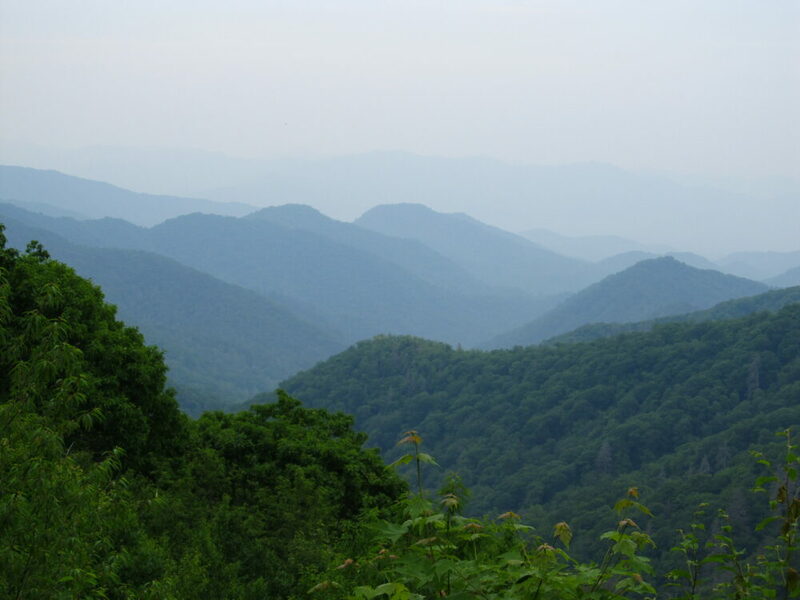 After passing Knoxville, detour off I-40 and take the scenic Newfound Gap Road through Great Smoky Mountain National Park. The road is narrow and curvy (though RV-friendly) with lots of overlooks, but take care while driving and be courteous to pull over and let faster traffic by. There are several campgrounds in the park that can accommodate RVs of all sizes. Smokemont Campground is open year-round with pull-thru sites for motorhomes up to 40-feet-long. 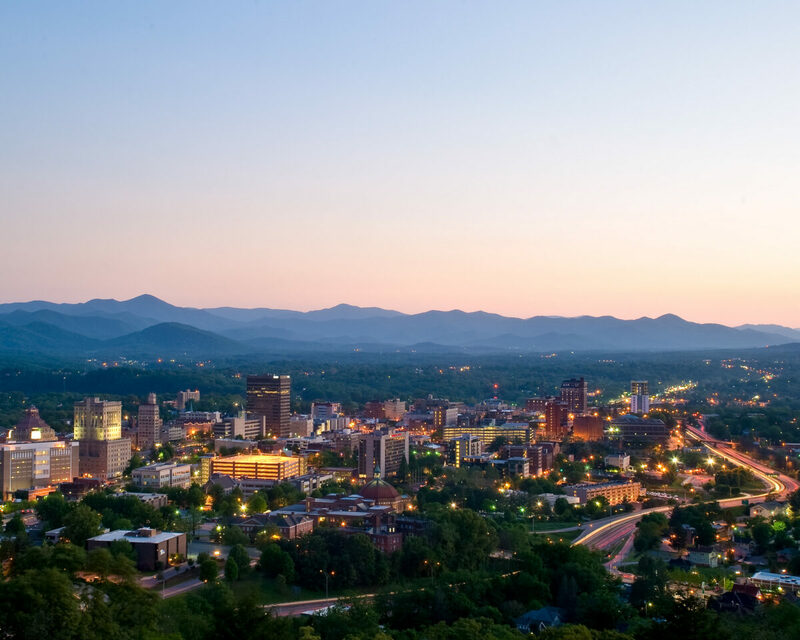 The scenic city of Asheville in the Blue Ridge Mountains can be reached off the highway via Interstate 240. The city is known for their vibrant arts, local food and beer, and classic architecture. You can visit their River Arts District to see the galleries and working studios of hundreds of local artists. By the evening, try one of the wine bars, neighborhood taprooms, or live music venues. Several campgrounds are located along I-40 just east of the city. 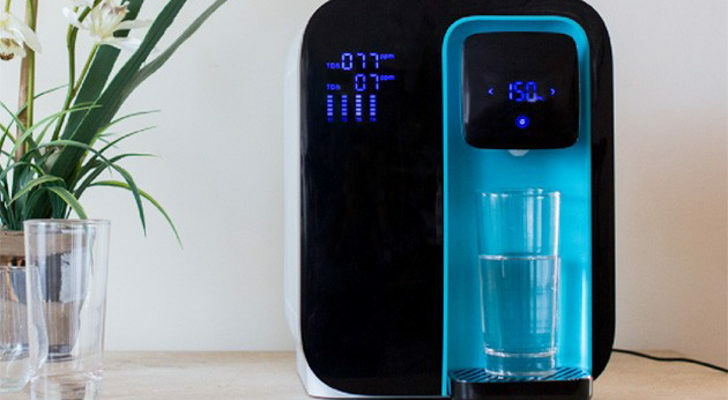 This includes a KOA, a full hookup campground, and a campground near a waterfall. 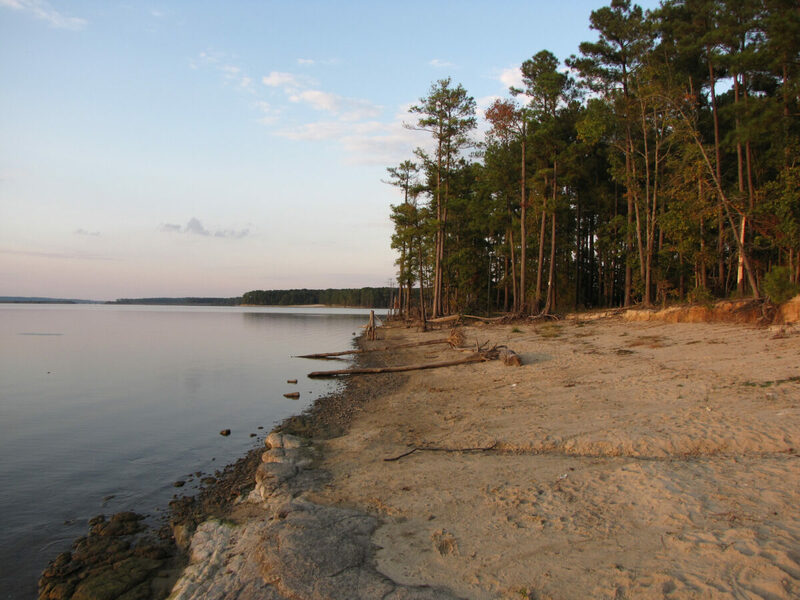 Before you reach Raliegh, take Highway 86 near Chapel Hill to camp along Jordan Lake. The recreation area has three campgrounds along the peaceful shores, each with hundreds of RV and trailer-friendly campsites. They also have group sites and primitive backpacking sites. Poplar Point is the largest campground with over 579 sites (many with water/power hookups) and centrally located showers, restrooms, and a dump station. The other campgrounds, Crosswinds and Parkers Creek have similar amenities including access to boat ramps and hiking trails. Interstate 40 comes to an end in Wilmington, about ten minutes from the beaches of the Atlantic Coast. 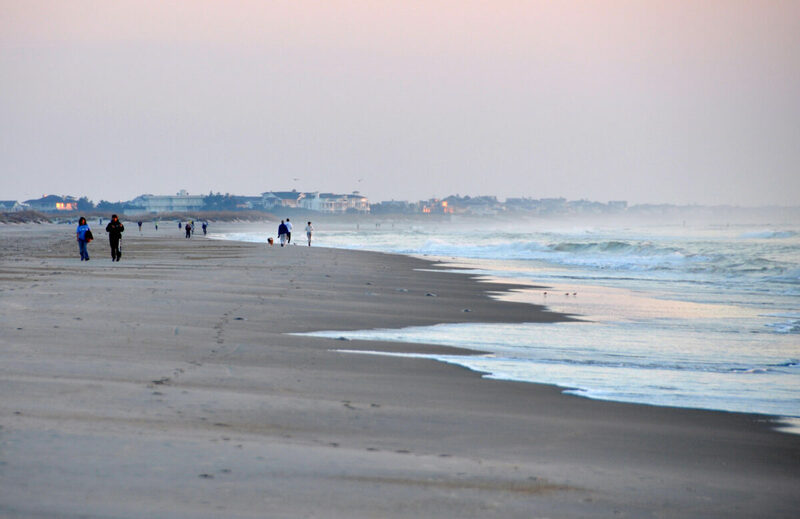 From here you can visit Wrightsville Beach just east of Wilmington, or head south to set up camp at Carolina Beach State Park.